vTiger Support, Development, Data Migration, Customization. Installing vTiger for your company requires a lot more than unpacking the software and uploading files. In order to correctly integrate vTiger into your business's infrastructure, you need to be sure your server is compatible and meets all the requirements. We carefully set up each of the essential elements of the platform. Install & Configure Window/Unix Server to meet the requirements. Open necessary ports for Outgoing Email & Integrations. Properly Setup Cron Job & Workflow. Our services give you the complete package you need to achieve the growth your business wants. Click here for more information about our vTiger Installation & Setup Services. One of the best parts of vTiger is the platform's flexibility. With a huge variety of features, you can be assured that you'll get exactly what your business needs. However, all these features also means you need a Expert on your side to make it work the way you want. When you work with us, you get experienced developers in VTiger who can implement and set up the software to your exact specifications and requirements. 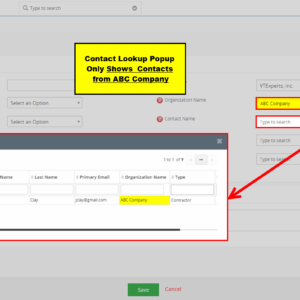 Webform Configuration to capture Lead Data. With so many different options, vTiger can be quite overwhelming to set up and implement. Our VTExperts engineers can give you the completely customized solution. Find out more about our vTiger Configuration Services. One of the most valuable features of a vTiger installation is the vTiger Customer Portal. The vTiger Customer Portal gives your customers direct access to a variety of important features that help you conduct business more smoothly. The customer portal is the ultimate self-service tool for your customers, and we can help you create the best customer portal possible. A properly designed customer portal will allow you to establish a great relationship with your customers. Click here to find out more about our vTiger Customer Portal Configuration Services. vTiger gives your company the ability to create a wide range of permissions for your employees and customers. This gives you full control over what your users are allowed to do with your data. By setting up the correct permissions, you can protect your data and make sure that only the right people are accessing certain files or making changes. Your customer data is incredibly important to your business and your future success. By properly setting up permissions, you can be sure you have complete control over what happens to your data. Click here to find out more about our vTiger Permissions Configuration Services. Our vTiger workflow experts have set up thousands of workflows for hundreds of different companies. No matter what type of process you are looking to automate, we can help you find the right solution. To find out more about our vTiger Workflow Configuration Services click here. When you want to maximize your potential, you need to find the most cutting-edge solutions for your business. With vTiger PBX/Phone Integration, you can combine CRM power with enhanced communication. This allows you to collect more data and reach more customers. Don't let separated solutions stop you from reaching your business goals. Phone is a great way to communicate with your customers and staff through virtually any method. With vTiger Asterisk, you can bring all types of communication into one solution. To find out more about our vTiger PBX Manager/Asterisk Services click here. 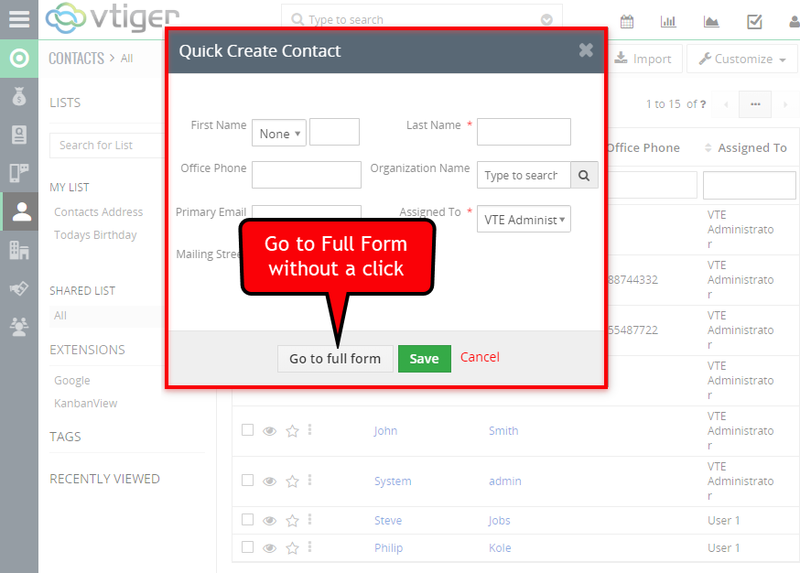 We offer full CRM Support to all of our clients because we understand that it can be difficult to get a handle on vTiger, especially when you first begin using the system. It can be frustrating not being able to setup Outgoing Email Server, Mail Manager or Workflows . Don’t get discouraged if you’re having difficulties with vTiger. It’s a complicated piece of software, and many business owners struggle with some aspect of it. Our team is standing by to assist you with any issues you might run into. Whether it’s installation, errors, or issues with a customized module, our vTiger support team is standing ready to help you. To find out more information about our vTiger Support services please click here. We pride ourselves not just on our knowledge of Development for VTiger, but also on our knowledge of business in general. We understand that your business is a unique entity. The solution for someone else is most often not going to be the solution for you. When we perform Custom Development for VTiger, we make it into a truly custom-tailored experience. Rather than giving you a one-size-fits-all solution, we give you the implementation that will actually work for your business model. Our Business & vTiger Experience is what makes us unique. We use the latest code packages & libraries to achieve best results. We take development very seriously and we never do work on production vTiger instance. Our team has successfully completed hundreds of vTiger migrations, and has the ability to do so from virtually any version and environment. Why waste your precious time getting your hands dirty when you can have us do it for you, saving you all the hassle. We have Experts available to handle your vTiger Upgrade and vTiger Migration needs. Our bullet-proof, 2 step upgrade process allows us quickly & efficiently migrate your valuable data to the desired version of vTiger. Performing a Test Migration prior to its full implementation allows us to address any issues before proceeding to the final migration. This step ensures a smooth transition through the migration and the assurance that you will not have data loss. Final/Production Migration is scheduled once the all the issues discovered(if any) in the test migration have been resolved. Without knowing how to properly migrate and upgrade your CRM you have the potential to lose a significant amount of your data. Our vTiger Migration and vTiger Upgrade services are available to help you run a flawless migration. Click Here to find out more about our services. With years of CRM experience, our firm has the ability to efficiently meet all of your needs. Our vTiger Monthly Support Agreement includes variety of Services to make sure that you can stay on top of your business and keep the best customer relationships possible. Support via Chat, Email or Phone. User & System Admin Training. Miscellaneous bug fixes & system configuration. Click here for more information about our vTiger Monthly Support Agreement. Vtiger CRM hosting solution is hosted by VTExperts. It runs on a state of the art technology, is secure and fastest solution out there. Thousands of business use Vtiger daily. Scaleable - grows as you grow. Click here for more information about our VTiger hosting service. vTiger is a powerful solution for your customer relationship management, however there's always chance to lose your data because of the database, file corruption or even server failure. In case the unthinkable happens - Our vTiger Database Corruption and Recovery Solutions are designed to get your business up and running in no time. MySQL Server not starting up or got corrupt. Unable to restore files/database from the backup. Click here for more information about vTiger Disaster Recovery Services. Our consultants are dedicated to finding the best, cost-effective, and most efficient vTiger Training program to fit your business. Every business is different and requires a different training to accommodate your business flow. Our training experts work along with the support team to provide vTiger training tailored to your business. Click here for more information about our vTiger Training Services. If you are trying to implement vTiger, then chances are that you will need assistance on your side. 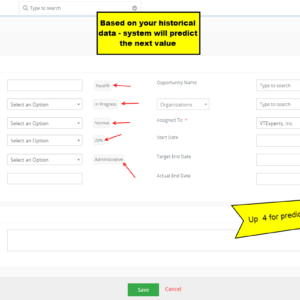 We offer customized vTiger solutions the help you get most out of vTiger. Whether you are looking for basic vTiger setup or in-depth vTiger discovery & consultation, our experts are here to help you succeed. Better understanding of vTiger and it's potential. Phone, Email or Chat Consultation with an Expert. Click here for more information about our vTiger Consulting Services. Software almost never works exactly how you want it to right out of the box. Even powerful tools like vTiger need the right implementation and customization plan in order to provide the business solutions you need. We're here to help you with the vTiger Implementation/Integration plan that will work specifically for your business. Integration with Any 3rd Party Application. Data Synchronization between multiple platforms. Automated Exports & Imports from any source. Click here for more information about our vTiger Integration Services. We've performed numerous Salesforce to vTiger migrations and will assure smooth transition. We have the scripts & the tools to properly migrate all the tabs & linked records from Goldmine to vTiger. We've have worked with Sage ACT! in the past and know it inside out. We have the tools and experience to migrate your Sage ACT! data to vTiger. In rare cases where your vTiger database is customized or corrupt, we can do a custom migration from vTiger to vTiger. It does not matter where or how your current data is stored - vTiger Data Migration Experts can extract, format and import the data into vTiger. We are able to extract the data from any Microsoft Access Database and Import the those records into vTiger. We have the experience and the tools to extract the data from any source(csv, xls, dbf, sql, txt) and import the data into vTiger. 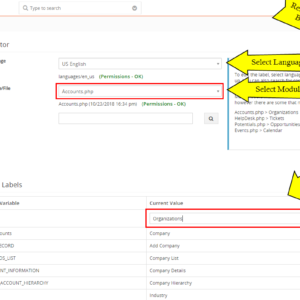 SugarCRM and vTiger have similar database structure, however it requires understanding of both to migrate SugarCRM to vTiger. The tools that we built allows us quickly and efficiently transfer data from Zoho CRM into vTiger. Migrating data from Tigerpaw to vTiger can be overwhelming. Save yourself the hassle and have us do the migration. Hourly Ideal solution for someone looking for quick support or has a question. Per Incident Optimal solution assistance with VTiger configuration & setup. Project Recommended solution for businesses looking to customize VTiger. Extensions Ideal solution for someone looking to build or enhance existing extension. STARTER Optimal solution for small businesses with basic VTiger needs. SALES Ideal solutions for sales teams who are looking to get most of VTiger. SUPPORT Recommended solution for businesses dealing with support, trouble tickets & helpdesk. CUSTOM Complete solution for businesses requiring complete VTiger setup & integration. ESSENTIALS Must have solution for any size business to maintain data security, integrity and proper backups. BASIC Optimal solution for businesses requiring of ongoing maintenance and support.. PRO Recommended solution for businesses looking to grow & improve efficiency & user experience. DEV Ideal solution for growing businesses looking to customize & enhance VTiger functionality. There are many aspects to vTiger Customization. Our company believes that there is virtually no limit to what this software can do. Whether you are looking for new Data Collection Modules, Advanced Reporting, or something else entirely, we can make it happen. No matter what vTiger Customization you are trying to do, we have the tools and expertise to give your software the ability to function the way your business needs it. Those are just couple customization we did. Click here to view our Full Portfolio. VTExperts is a well known & trusted company in US and has released over 90 extensions compatible with Open Source (Community Version). Visit our new and improved extension store which allows to preview screenshots, watch videos & test the plugins. All the extensions are "plug and play" and available on the VTiger Marketplace. Built in Template Builder, supports Export to PDF, online documents, digital signature, update forms, workflows & more. Compatible with all standard and custom modules. Designed to view, edit & create Leads, Contacts, Organizations, Tickets, Opportunities, Activities and Attach Emails from Outlook/Gmail interface. VTiger 6.x – Extension List – 65+ Plugins with screenshots, videos & live demos. VTiger 7.x – Extension List – 45+ Plugins with screenshots, videos & live demos. Corrensa is one of the mostly used plugins in VTiger. Give it a try and find out for yourself! Corrensa is a complete Gmail, Outlook & Office 365 Integration for VTiger. It was designed to allow users to view, edit & create Leads/Contacts, Organizations, Tickets, Opportunities & Activities from within Email interface. It’s a Google Chrome Extension/Gadget that can be installed from Google Chrome Store – Corrensa. The Extension adds a toolbar to the border of Gmail, Outlook & Office 365 and allows to access vTiger data from within. it also supports linking Email messages from Email interface to vTiger. Currently, in VTiger, when you open any module and try to add a related module, it opens a quick create popup, instead of going to the full form. Some of the companies/users do not prefer that outcome and want to move to full form straight. Question: How to remove Quick Create feature for any module? The aim is to remove a specific module from the Quick Create list as well as when adding as a new related record to another module. Question: How to remove Quick Create feature for a CUSTOM module? The aim is to remove a specific custom module from the Quick Create list as well as when adding as a new related record to another module. To learn more about VTiger, customizations, or configuration, please send us an email at [email protected] or visit www.vtexperts.com for live chat – we usually respond within 24 hours to emails or offline messages. Please note that we design our customizations and extensions to be as flexible & configurable as possible, so if you feel uncertain if this would work – email us and we’ll be pointing you to the right direction. Also, we can add features or can customize vtiger as well as our extensions to meet your needs and make sure you will be up and running in no time. If something in VTiger is “almost” what you need – we can work with you to make necessary changes so it is “exactly” what you need.